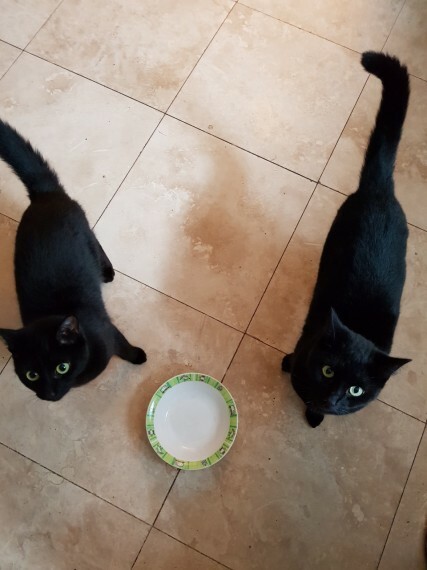 Due to relocating it is with regret that I am selling 2 gorgeous Bombay black female cats. I have had the cats since they were kittens and both are spayed and chipped. As they are sisters they are joined by the hip and I wouldn..t want them to be separated. They have a lovely nature and like to come up onto your lap for a cuddle. They are outdoor cats and have had access via a cat flap which they use regularly. I would like to see them go to a house with access to a safe outdoor environment i.e. not near a main road. I will really miss these two and am sure they will bring joy to any household.